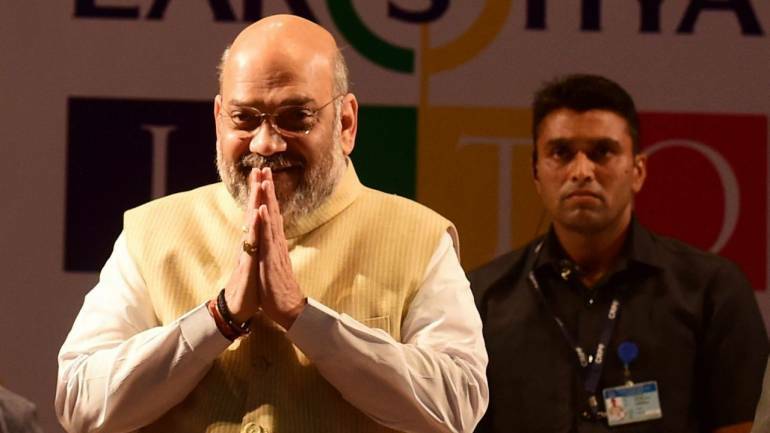 BJP chief Amit Shah on March 30 filed his nomination papers for his maiden Lok Sabha elections from Gandhinagar, currently represented by L K Advani. He later asserted in a rally that people saw in Prime Minister Narendra Modi a leader they had been waiting for the last 70 years. In what is being seen as a demonstration of his political heft and status as the second most powerful person in the party after Prime Minister Modi, a road show and a rally was held which was attended two ex-BJP chiefs -- Rajnath Singh and Nitin Gadkari -- besides allies like Shiv Sena's Uuddhav Thackeray, SAD's Parkash Singh Badal and Lok Janshakti Party's Ram Vilas Paswan.